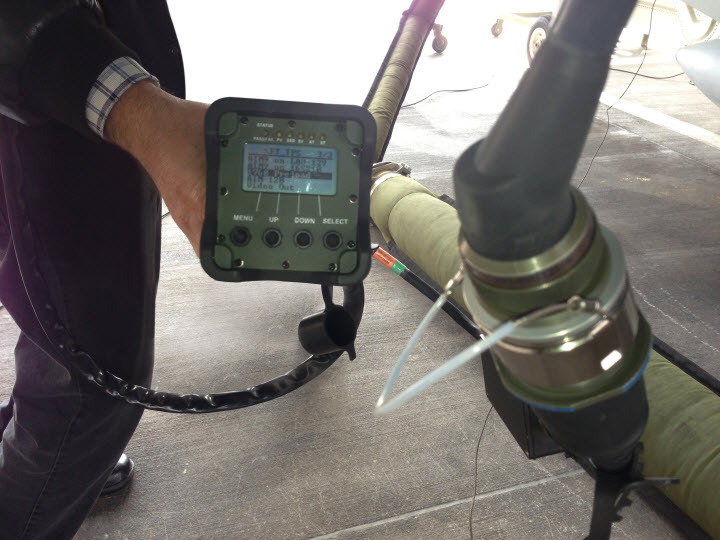 SmartCan, Universal O-Level Aircraft Armament Tester for Smart & Legacy Weapons Systems | Marvin Test Solutions, Inc. 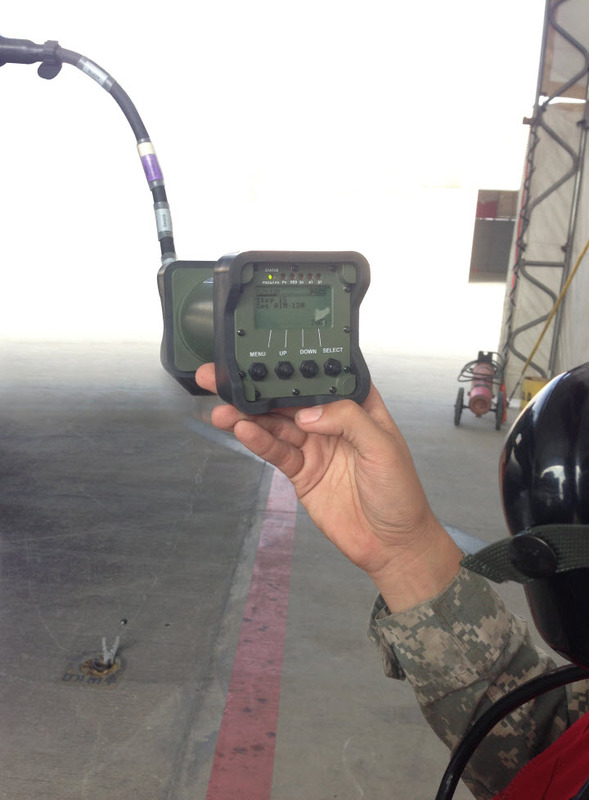 The MTS-3060 SmartCan™ is an advanced flightline tester for suspension and Alternate Mission Equipment (AME) including pylons, launchers, bomb racks, and pods. The MTS-3060 SmartCan™ is a high-performance hand-held device with a shape of a “beercan” but with previously unavailable flight-line test capabilities. The state-of-the-art MTS-3060 SmartCan™ is unlike any other Beercan tester and provides measurement, loading and stimuli functions that are typically associated with large O-Level testers such as the SERD-75501. With multiple measurement channels, dedicated and continuous squib circuit monitoring, multiple load channels, audio and video simulation, and MIL-STD-1760 support, the MTS-3060 can support any platform and any “smart” and legacy armament system. The MTS-3060 SmartCan™ delivers new flight—line test capabilities and is an ideal O-Level tester for AME and other aircraft systems. The advanced capabilities of the MTS-3060 enable it to bridge the Armament Test Gap that exists on legacy and 5th Gen platforms. The MTS-3060 is already deployed in 10 countries on multiple platforms and is also used by the U.S. Air Force as a smart weapon simulator for JDAM and AMRAAM. While providing advanced capabilities in support of new and complex weapons systems, the MTS-3060 maintains full compatibility with Legacy Beercan testers such as the SERD-75060, preserving the substantial investment in the 75060 cables and adapters. New adapters and cables that offer a substantial cost reduction and improved reliability provide a path forward once the current legacy adapters and cables require repair or replacement. 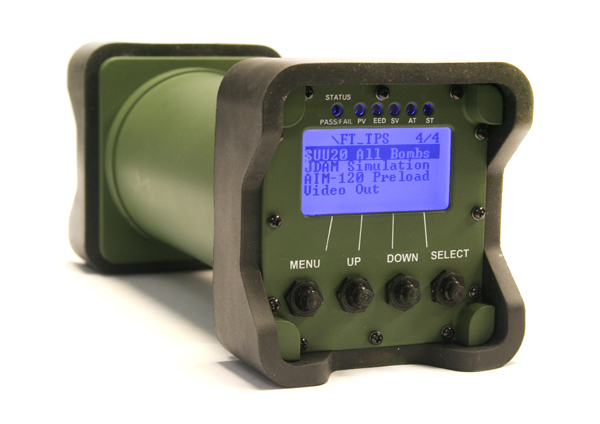 The MTS-3060 SmartCan™ can generate audio and video signals required to simulate missile functions when testing AGM-65 and AIM-9 systems and provide a more robust test. Two channels of audio and one channel of video can be simultaneously generated. An innovative power management system allows operation of the SmartCan for over 24 hours without the need to replace the standard AA batteries. This extended operation is achieved using sleep modes and drawing power from the AME when available. With multiple measurement channels internal to the SmartCan, the adapter cables have been simplified and most do not require any selectors or electronics (as the legacy adapters do). With a sunlight-readable LCD display and multi-function keys, the MTS-3060 SmartCan™ provides more capabilities, more test instructions and more test information than any other Beercan or O-Level tester. The MTS-3060 SmartCan™ contains a Built-In-Test (BIT) that provides verification of major circuits. A comprehensive Self-Test verifies the MTS-3060’s performance including the cables and adapters using a self-test adapter. BIT and Self-Test can be performed at the flight line or at the back shop, no special external test equipment is required other than the self-test adapter. The MTS-3060 SmartCan™ employs an innovative calibration technique that further simplifies maintenance and reduces scheduled maintenance down-time and associated logistics. Multiple NIST-traceable, high-precision references have been incorporated into the design of the SmartCan™, and the MTS-3060 verifies its calibration status against these references every time the self-test is performed. In the event the MTS-3060 is out of calibration, the test set initiates an automated calibration procedure that calibrates the MTS-3060 measurement and stimuli devices against the built-in references. The references have to be checked once every 4 years using standard PMEL equipment that can be brought to the field and do not require evacuation of the test set to the depot or the PMEL facility. 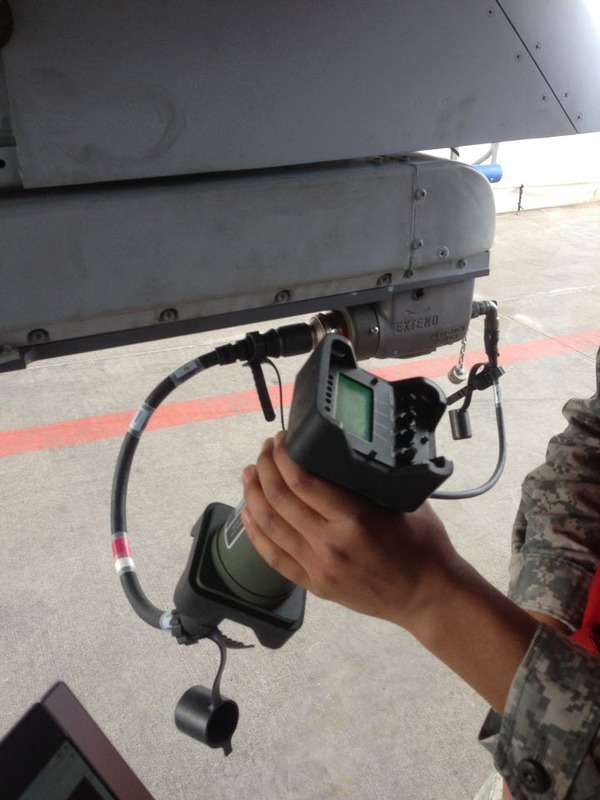 The rugged construction of the MTS-3060 SmartCan™ facilitates field operation anywhere in the world. The MTS-3060’s ability to operate in adverse weather conditions makes it the ultimate tool for testing. Additional protection has been included in the MTS-3060 to minimize equipment damage if the SmartCan is dropped by the user. The MTS-3060 is ergonomically designed for ease of use and will not roll when placed on angled surfaces. While the MTS-3060 supports legacy SERD 75060 adapters, the MTS-3060 can also be provided with new adapters and cables that are more reliable and cost-effective. The design of the MTS-3060 SmartCan™ “relocates” the majority of switching and loads into the SmartCan™, resulting in a streamlined and simplified adapter design for increased reliability. The MTS-3060 SmartCan™ can connect to external computers, allowing log files for each weapon to be easily moved or copied to a computer for printing and analysis. This feature is especially important when failures occur and the availability of data for further analysis is critical to the timely repair of the aircraft. The MTS-3060’s interface also simplifies firmware updates without the need to ship the test set back to the depot or to the manufacturer. Additional test programs supporting new weapons systems can also be added this way. A maintainer tests the 16S210 AIM-9 launcher on an F-16 aircraft with the MTS-3060 SmartCanTM Universal O-level Test Set. Using the MTS-3060 SmartCanTM , a maintainer performs a preload test on the MIL-STD 1760 bus interface. Preload testing verifies the 1760 bus is fully functional and that no hazardous voltages are present prior to loading Smart weapons such as JDAM. No other flightline test set checks the complete functionality of the 1760 Bus. The MTS 3060 SmartCanTM tests the AIM-120 functions of the LAU-129. Prompted by the SmartCanTM display instructions, maintenance personnel verify the complete functionality of the aircraft’s armament interface. 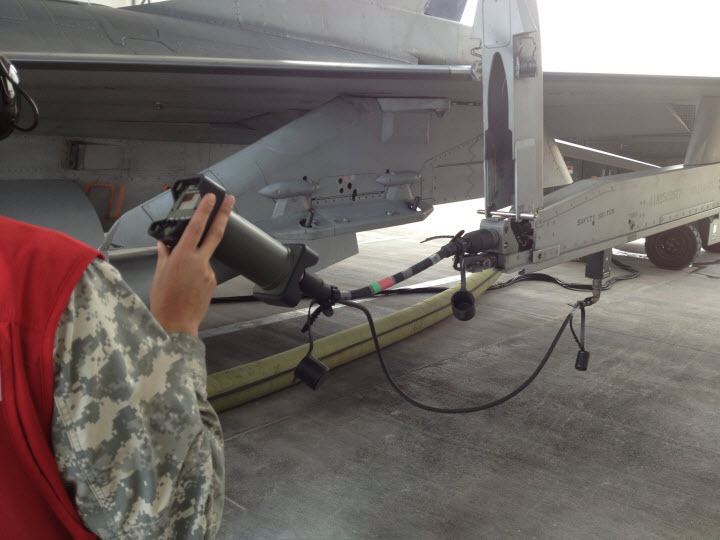 A maintainer conducts an AGM-65 Maverick missile preload test with the MTS-3060 SmartCanTM to ensure the LAU-117 and aircraft interfaces are fully functional and that no hazardous voltage is detected. The MTS-3060C SmartCan™ is an advanced, high-performance, battery-operated, hand-held test set that can be used to support a broad range of field test applications and support test and troubleshooting of electronic systems used in harsh environments. The MTS-3060C features an LCD display, over 30 integral measurement, loading and stimuli functions, and multiple communications interfaces including Ethernet, USB, RS-232/422/485, CAN Bus, 1553, and more. All functions are controlled by an on-board CPU that can execute complex test procedures developed using the SmartCan software development tools. The MTS-3060C is extremely rugged and field-qualified, making it the ideal test instrument for any demanding field test application. For additional information, please download the MTS-3060C data sheet.